There's still time to participate in Color Challenge 56! Remember, you don't have to have the EXACT colors to play. Just use colors inspired by the ones you see below. 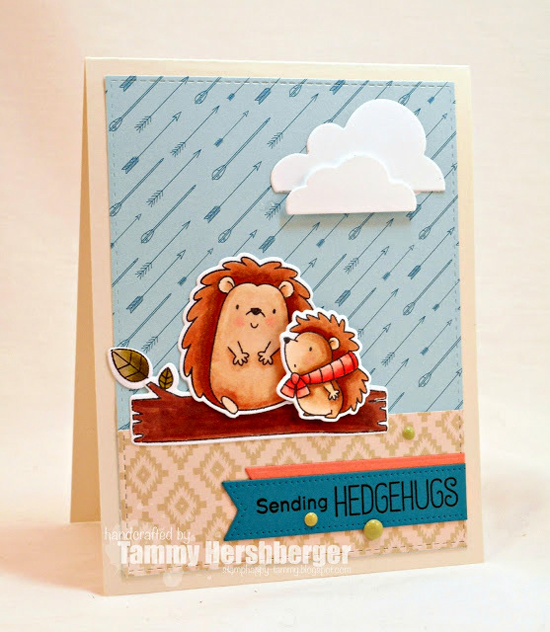 Tammy Hershberger created a pretty patterned background to showcase two cute hedgies from our Happy Hedgehogs stamp set. She found that our Free Spirit Paper Pack was a perfect match for Color Challenge 56. 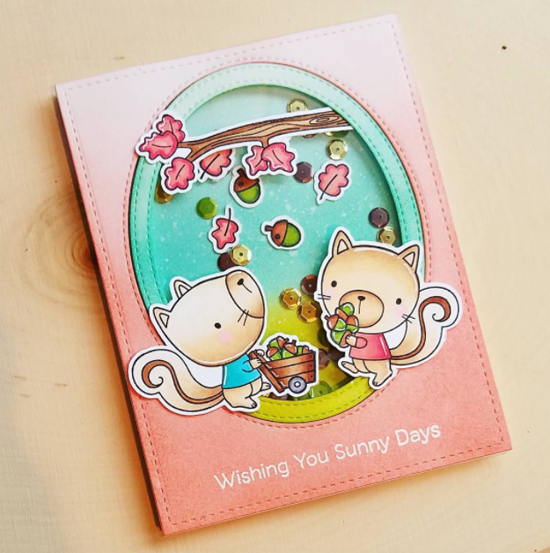 Amy Yang features our Harvest Buddies in this cute little shaker card. I love her coral card base and the cute leaves and nuts in her shaker oval! OH. EM. GEE!!!!! What a nice surprise this was to see today! Thanks MFT for featuring my card today! I'm honored!